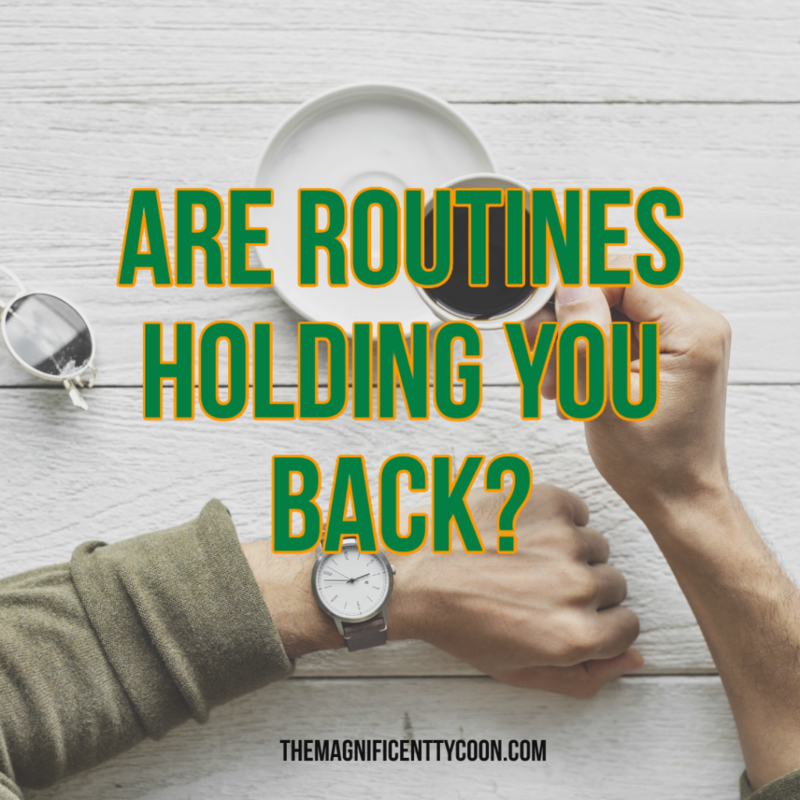 Are Routines Holding You Back? What routines are preventing you from increasing your sales? Whether you realize it or not, you are a creature of habit. Unless you do shift work, you probably get up at the same time everyday, follow the same routine to wake up and get yourself ready for the day, drive the regular route to work, do the same things once you get to work, and take the same route home at the end of the day. Once there, you probably have dinner, watch television or read the newspaper, and follow some sort of routine once its time to go to bed. You set the alarm for the same time and when it sounds the next day, you start the cycle over again. Dont get me wrong. Routines can be good. They help us improve our productivity. They allow us to multi-task. 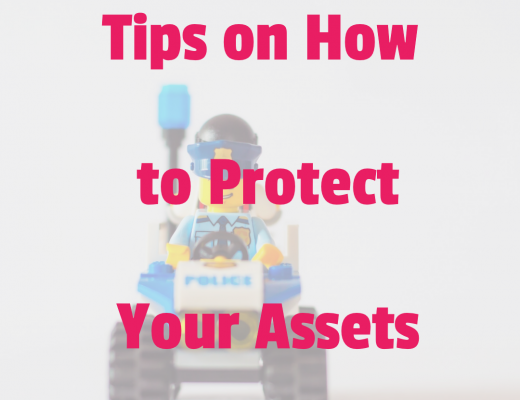 They make us feel comfortable, safe, and secure. They reduce stress. Plus, when we have developed a great routine, we can often generate more business. However, the drawback is that they can be difficult to break away from. When you become accustomed to a specific schedule, it can be easy to forget changes in it. For example, if you usually schedule your first client meeting after 9:30 it is very easy to miss a meeting that was recently scheduled at 8:30. I recently encountered two situations that relate to this. The first was an appointment with my massage therapist. For several years, she scheduled her appointments on the hour or half-hour. So when she booked my massage at fifteen minutes after the hour, she forgot about it and was several minutes late. The second was my fault. I normally meet with my trainer early in the morning, three days a week. I had to re-schedule one workout due to a business commitment and made my appointment for a later time on a different day. Unfortunately, I arrived at the gym at my usual time only to realize that I was several hours early. The change in the schedule messed up my routine. So, how does this relate to selling? As a sales professional, you need to recognize that routines can prevent you from achieving your full potential. However, if you persist at incorporating that new technique into your sales approach, it, too, will become part of your new routine. Thats the great thing about the human spirit and brain, it is very adaptable. The most successful people in business and in sales know that changes to their routine will cause them some discomfort. But, they are also very aware that these changes will become more comfortable and part of their routine if they work at it long enough. 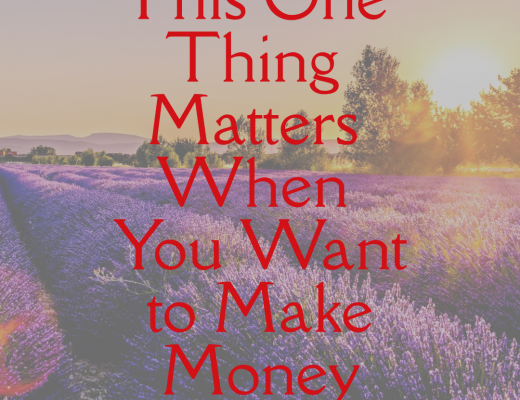 It can certainly be challenging to change your behaviour and routine when you are used to making a certain number of calls every day, or meeting with a specific number of clients, customers, or prospects. When you have a specific daily routine, it is usually difficult to incorporate something new. Or, when you have developed the habit of selling in a particular manner, it is very stressful trying to change your approach. I see this in my sales training workshops all the time. People can intrinsically grasp a new concept or principle but experience difficulty trying to actually implement it into the way they sell. Thats why many sales training programs dont work; you cant expect to change your behavior or routine immediately. The key is to keep applying the concept even though it feels uncomfortable and foreign. 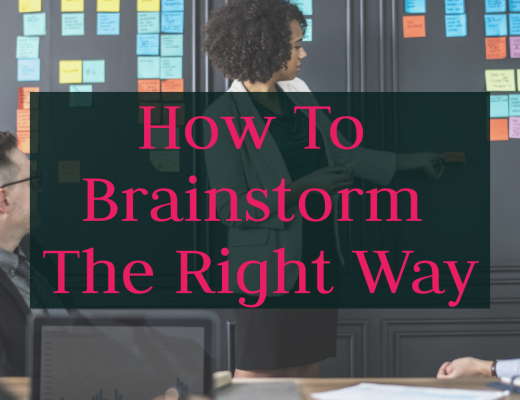 In fact, in most cases, you will begin to feel comfortable with the concept immediately after you experience the greatest frustration and difficulty. Consider learning a new sport, hobby, or task. At first the movements feel uncomfortable. Your moves are not smooth, accurate or natural. And this feeling usually persists for quite some time. However, just when you feel like giving up because it has become too difficult and frustrating, something clicks and the movements start to feel more natural. You have now progressed to the stage of being able to achieve results. The same process happens when you decide to try something different when selling. Most sales people dont enjoy cold calling because they dont work at developing their skill long enough. They go through the motions of making their calls everyday but they dont focus on improving their skill nor do they stick with it for the necessary period. People who do acquire the ability to effectively cold call have made enough calls to understand the dynamics, develop their skill at calling, and incorporate it into their routine. Routines are powerful. However, to get the most from them, you do need to change them regularly. 2008 Kelley Robertson, All rights reserved.